The less intrepid Londoner may be put off by the street view of Satan’s Whiskers: it looks every bit a down-and-out dive bar. Inside though, it breaks the east London bar mould, with hip hop on the stereo, a smartly modish setting, vintage French posters on the wall and some of the best cocktails to be found in Bethnal Green’s burgeoning booze scene. 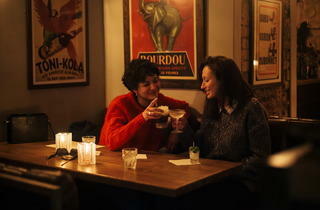 But luckily, it’s more of a laid-back neighbourhood hangout than an out-of-place, high-end cocktail bar. Think not so much stuffy, more stuffed animals – there’s plenty of taxidermy pals lounging around, but it never borders on the tacky. 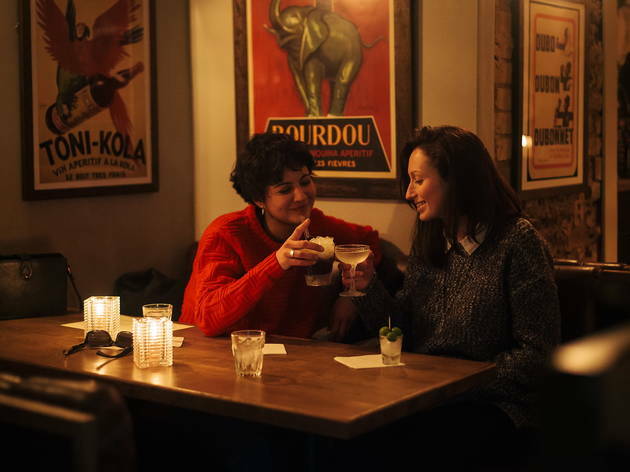 The drinks list changes daily, which attracts a keen crowd of booze enthusiasts as well as Tinder’s finest out to impress. 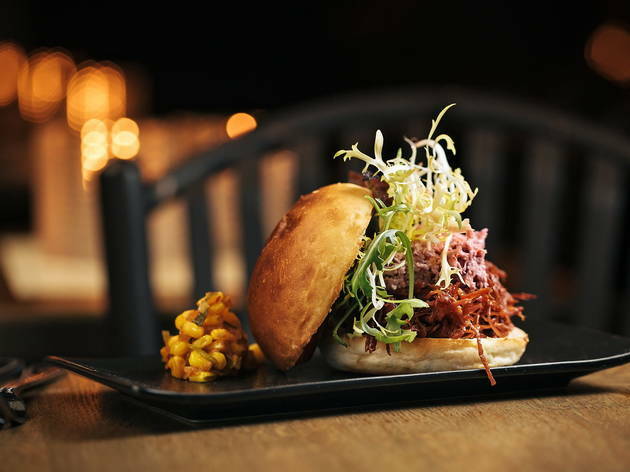 On our latest trip we sat at the bar, a prime position to catch the attention of staff in shirts and braces, who gladly ran us through their favourites on the menu. You’re in for a hell of a night at Satan’s Whiskers. A stylish and cosy little bar/eatery, with a super selection of cocktails and some lovely food too (delightful little scotch eggs for example). 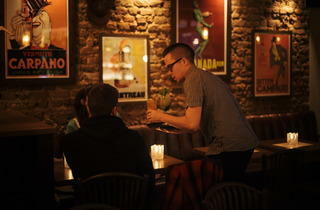 The staff are friendly and chatty, and the place has a buzzy atmosphere accompanied by the classic hip hop soundtrack. All in all, a delightful spot that transports you far away from Bethnal Green as soon as you step inside. My new favourite local hotspot - great cocktails and food which are, for once, reasonably priced - brilliant atmosphere on a Friday night, lovely staff. Ignore what this guy says about the music, too - it's MEGA. Go for the cocktails (I wholeheartedly recommend the Negroni Sbagliato), stay for the exceptional service. The lights are dim, the music is good and they serve snacks. 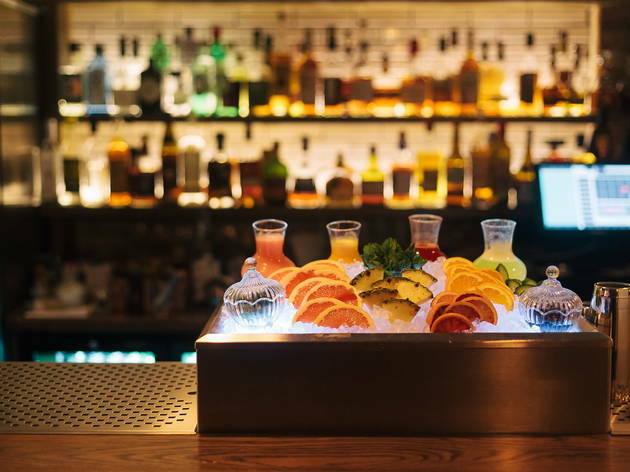 What more could you ask for from a neighbourhood cocktail bar? 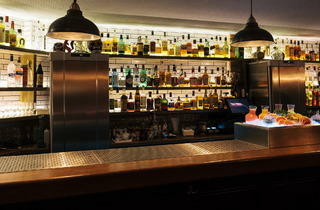 A small cocktail bar tucked away in Bethnal Green serving a great selection of cocktails. We started with a 'twinkle' (my best friend jen is basically a magpie and loves anything that even marginally sparkles). Although the combination of vodka, elderflower and prosecco didn't sparkle it definitely hit the spot. Following this the amazing bar staff went off menu for us creating us a 'zombie' which was the booziest of boozy cocktails, again absolutely spectacular. The venue is small and quaint but a great place to relax and catch up. 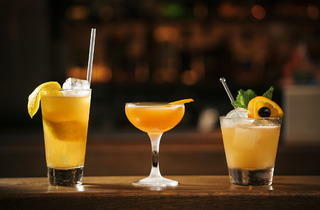 Prices are average for cocktails - most drinks were around £8-£9. Definitely worth a visit if you're in the area. I'm surprised at all the fantastic reviews - perhaps I went on a bad night? Our cocktails were overly sweet and it felt more like a vodka revolutions than an independent cocktail bar! You could easily miss Satan's Whiskers if you weren't looking for it. Its ramshackle, run-down exterior belies the charm and uniqueness within. This intimate bar serves delicious cocktails and craft beers, and is decorated with all manner of curiosities - from a 'unicorn skeleton' to some highly unusual taxidermy. Sit and enjoy the strangeness, while a banging hip-hop soundtrack plays. The bar staff are really easy-going too. Though it's not a pub at all, it is one of the greatest drinking establishments of all! Hip hop ? Bangin drinks ? What's not to love ? Having heard about this place via the Time Out bar bar awards, we decided to give it an impromptu visit on a Thursday. It's small and we only got a place on the high stools at around 8. Therefore we would recommending booking a table to avoid disappointment. The entrance is inconspicuous while the interior has a speakeasy feel to it. Service was fantastic and they were very willing to offer suggestions. We went for the Bumblebee (dark rum) and Satan's Manhattan (whisky and recommended). Although the cocktails were reasonably priced, the measures were perceived to be on the small side. You don't pay much attention to the bar when you walk past it, but as soon as you enter you discover a great, cosy place with low lights, bric-a-broc decoration (but still stylish), and great hip hop music, played not too loud. The cocktails are really great, it's difficult to make a choice. And the staff is super lovely. I recommend 100%! The outside definitely doesn't give any clues about what is ultimately an absolutely wonderful little place. 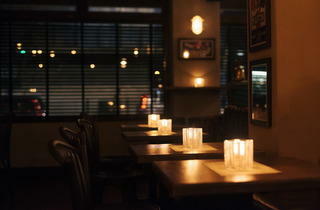 The decor and music are perfect, the drinks are excellent and the staff are very welcoming and helpful. It's just a really great bar. I love coming back again and again to Satan’s Whiskers. They have a frequently changing, extensive cocktail menu so you never have to get the same thing twice. It’s nice how they take reservations and they have a small food menu which offers some great sharing plates. The decor is so quirky - they have a unicorn skeleton for god’s sake. The music is quite loud which can make it a bit hard to visit, but overall it’s a really fun place to come for some well executed and innovative cocktails. If you fancy some taxidermy with your cocktails, pop yourself on over to Satan’s Whiskers.The in-house skeleton is very friendly I promise, even if it looks like it might come back to life after you’ve had a few drinks. It looks like an old garage from the outside but persevere and you’ll be rewarded with cool cocktails a plenty in a wonderfully cute speakeasy environment. 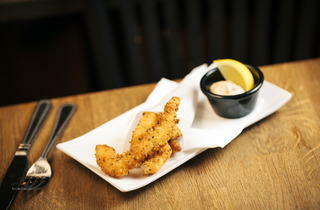 There is table service so if you fancy having some nibbles with your drinks it’s easy peasy. It’s perfect for a catch-up with a friend if you’re still peckish after work and want to try a delicious mini halloumi burger and sweet potato fries. We had 3 mini plates between two with a bottle of wine and it came to about £15 each which wasn’t crazy. This is officially my secret go-to bar to impress non-Londoners. There is also a cool little pub next door that we moved on to after, although don’t stand at the bar on match days…boys will shout at you. Posh clientele and kind of a weird decorative mix between a smart New York bar and an imitation Pigalle dive. But all doubts dissolve with the excellent cocktails. The best cocktails and bar snacks in East London. The best cocktails and about £3 cheaper than elsewhere in the area. All in nice seats, good tunes and eclectic decorations including the legendary Badger with an impressive "appendage"!! 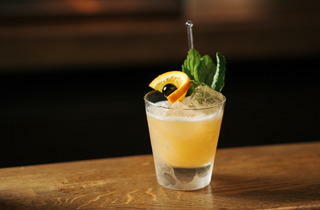 Hip hop and great drinks list. The food's good too. 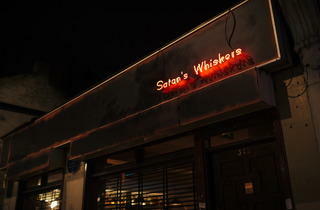 Satan's Whiskers is the breed of clandestine London cocktail bar so inconspicuous that it would be impossible to stumble upon haphazardly. There's no website and even its location is questionable (although Paradise Row is situated nearby and is now drawing the savvy crowds to Bethnal Green). 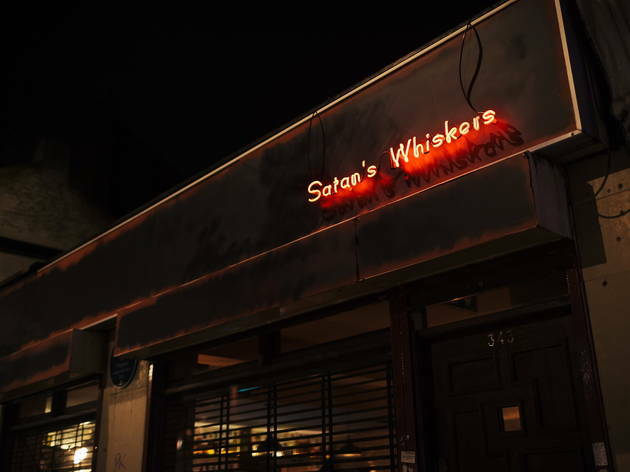 Indistinguishable from the surrounding rundown facades of dingy pubs and taxi offices, Satan's Whiskers is identifiable only by modicum signage (and a pseudo blue plaque affixed to the exterior). I was taken here for pre-dinner cocktails on my birthday and had a couple of punchy negronis. Inside, the décor is diner/restaurant style seating with a dash of taxidermy and general kitsch- it's moody, but more spacious and relaxed than I expected. 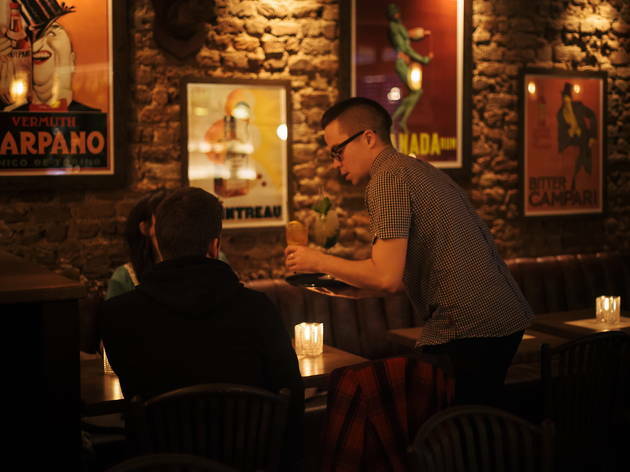 It was busy quite early on a Thursday night, but the staff were attentive and we were immediately seated and brought a jug of water; they were also tolerant of embarrassingly ceremonious unwrapping of gifts and our general indecisiveness over the impressive drinks menu. 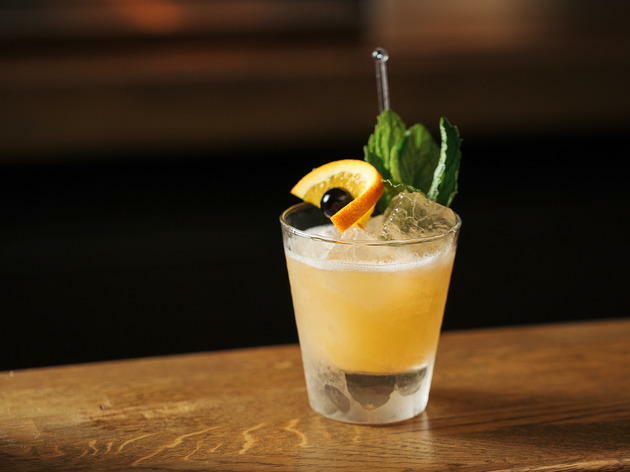 Their selection of cocktails ranged from spins on the classics to more adventurous house specialties. We were seated at a table, but there were booths available for larger groups and space at the bar for single punters. The range of drinks was impressive and the menu was dated- implying that the offerings must rotate- and prices very reasonable. If I recall correctly, both of our drinks were under a tenner each. We stayed long enough for two drinks and had to rush off to make our dinner reservation, but this is a seriously cool joint that is worth dropping into, especially if you want to impress a friend with a solid cocktail in a relaxed but undeniably trendy ambiance. Oh- but they do take reservations if you have the sense to ring in advance- and I would recommend it given how quickly it was filling up. 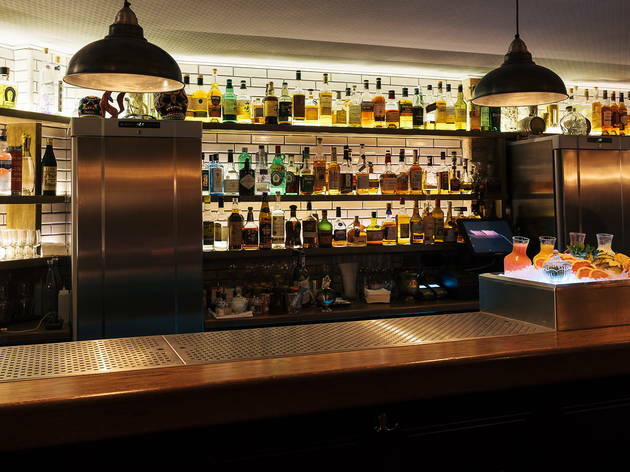 Its bars like these that make we wish i lived locally. 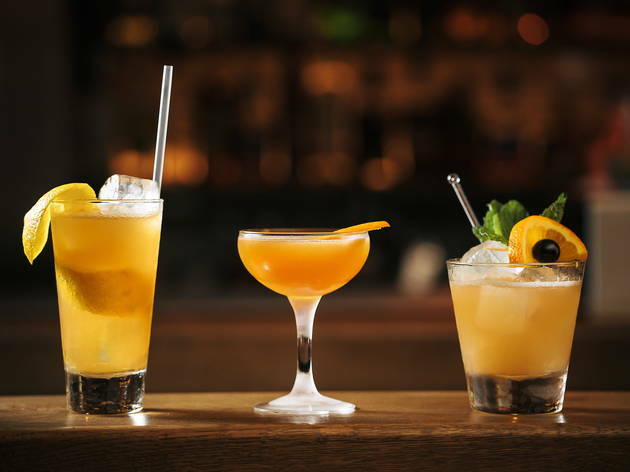 Finally a cocktail bar that doesn't cost you an arm and a leg, with prices ranging from £7-9. The quirky interiors along with the lovely staff make this place truly great. The cocktails change daily which means you never get board and always have the opportunity to try something new. With a little bit of everything, the menu is sure to please everyone. Really helpful and charming staff, great selection of cocktails old and new, food was surprisingly well cooked. I really liked the style of the place and the old school hip hop provided a good back drop without being too loud. So I get that not everyone likes stuffed animals, old school hip hop and to have to think about reservations when popping to such a small venue, but I think some of the reviews below are really undeserved. The staff and cocktails, which this place is all about were excellent. I will certainly be going back. I visited on a Weds eve and had no issues at all getting a table for 4. My new favorite place! It's stylish and cool without being hipstery-pretentious. You can give me 10,000 hours of boom bap hip hop and I wouldn't get tired of it. I recommend trying the Salty Dog cocktail, vodka, grapefruit juice and salted rim? Yes please! 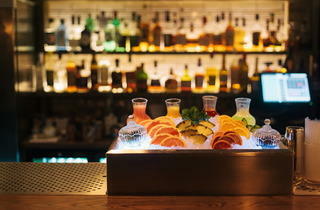 Incredible cocktails, friendly staff and a great atmosphere. First drinks were on the house to welcome us to Satan's. Awkwardly placed stuffed animals , tick. Animal horns, tick. Animal skeletons, tick. First time there , rudely quizzed by the bar staff if we have a reservation, not a good greeting as he shouted it to me between a couple at the bar. He told us to go back to the door. Politely we did only to finally be approached by another member of staff rudely asking if we have a reservation. Not even a hello, or a welcome to ,Satan's. 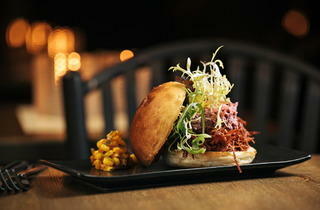 I've lived up the road for fifteen years and enjoyed the recent revival in bars and restaurants. I have no idea what the drinks are like as we left and went somewhere with manners and respect, everywhere else. .